Have you been thinking about aviation? Is your head in the clouds?! To keep your passion for all things flying and to keep you progressing towards your aviation dreams, Aero Safety is excited to offer AeroSessions! AeroSessions was inspired by AeroCamp 2013 and we’re excited to offer young people this new opportunity to explore aviation. The first Saturday of every month, from 10:00-11:00 am, we will provide a free session for young future aviators in grades 6-12, focusing on one aspect of aviation. Many AeroSessions will feature hands-on learning. Others will host guest speakers or feature guided tours of aviation facilities. Some will be simulator sessions. 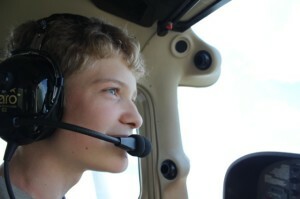 All will keep you progressing towards your aviation dreams while learning and having fun! Please let us know that you plan to attend!